Economy, high quality 150W 19,500 + Lumen LED Retrofit kit for HID fixtures, easily replaces a 400W+, especially great for LED Retrofit kits Parking lot 400W Shoe box fixtures where extra light is needed. Why throw away a perfectly good fixture? A 15 MINUTE LED RETROFIT KIT FOR HID FIXTURES, WORK IN 95% OF ALL HID FIXTURES. It is the PERFECT LED retrofit kit for HID fixtures where more light is needed, without having to replace a perfectly good 400W fixture. Installation is simple, in most cases involving our LED retrofit kit for HID fixtures, it, a quick mounting bracket kit is included, making these LED retrofit kits Parking lot for 400W Shoebox fixtures, about a 15 minute job. 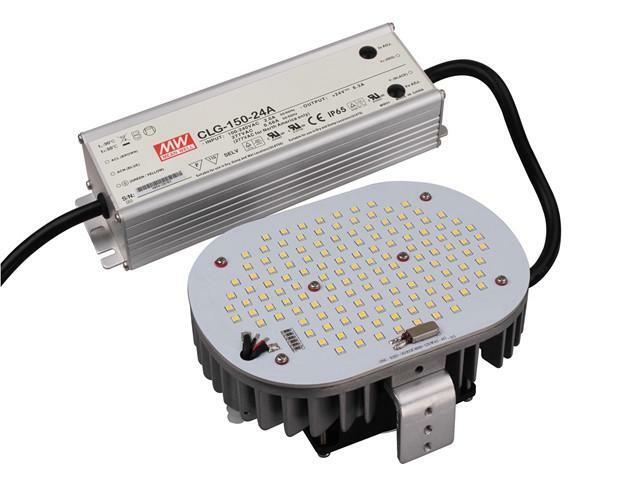 Unlike or DM Premium kits, these LED retrofit kits for HID fixtures do not come with the following options: 347 - 480V LED drivers, different whit light colors, or Custom installation plates for Shoebox fixtures etc. A surge protector is HIGHLY recommended when using these LED Retrofit kits for HID fixtures! 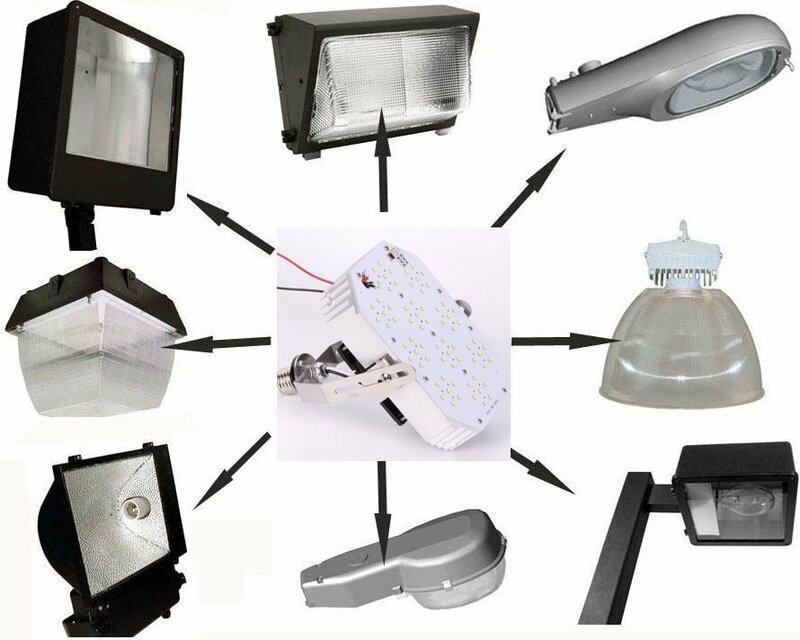 This LED Retrofit kits Parking lot Shoebox fixtures kit can be used in a variety of fixtures, and are the perfect LED retrofit kit for HID fixtures.